There's a reason why Abreu Report worked endlessly to get President Trump into office: we've seen how America's status in the world has declined, how Barack Obama's presidency signaled to the planet that we were weak and could be taken advantage of. In January of 2013, our editor-in-chief was the victim of a break-in facilitated by the Diemen Police, just outside of Amsterdam. 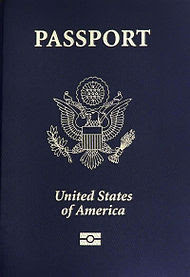 Not only did the police give an Iraqi national the key to his apartment, they thereafter refused an affidavit when he went to the police station to report that this Iraqi national was in possession of a US passport, a Yale University ID, and that people's lives at the Yale Club of New York could be at risk. The Diemen chief of police not only instructed one of his officers to obstruct the course of justice by allowing the citizen of a country which is at war with the United States to remain in possession of stolen government property, he also allowed the sale of this stolen property, since our editor-in-chief instructed the obstructing policewoman that it was being put for sale. It seems that Dutch authorities think that an Iraqi national that confesses to going into the apartment of a Yale graduate to "clean" without permission somehow deserves 5,000 euros for an illegal debt, even as he's blatantly making it clear that he'll only return the passport in exchange for money, a violation of federal law. Not only did a Diemen policewoman, at the behest of her directors, prevent passport theft from being reported, but a policewoman in East Amsterdam thereafter took it upon herself to ask our editor-in-chief if this national of a terror state didn't just "want his money." Not only did the East Amsterdam policewoman suggest that US government property be converted for cash, she thereafter took the disgusting task upon herself of falsifying our editor's statement so to guarantee that he would be the one taken to court and not the Iraqi. If you thought that the Dutch Ministry of Justice did things by the book and that the prosecutors there could tell you what misprision of felony is, you'd be gravely wrong. Our editor-in-chief had to tell the presiding police rector that the prosecutor was asking him to commit a common law crime when she concluded in open court that the Iraqi national simply wanted his money. When Yale graduates are having their apartments broken into by Iraqis who steal their passports, you know that any member of the American elite could be targeted and placed in harm's way. If anything should happen to the Yale graduate who runs this website that helped elect the next president of the United States, know that it was an Iraqi national that was encouraged and protected by the Dutch police.